Today I am the monk. I’ve been the bowl, both full and empty. 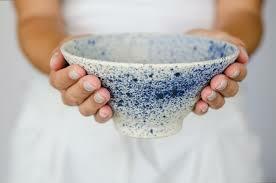 I’ve been the nourishment that’s placed in the bowl each day. The one who carries my clean and empty bowl out into the world, and who knows that whatever is placed into that bowl today is my nourishment for the day. I don’t like being the monk at all. I don’t like what the world has been placing into my bowl lately. Roll backs of environmental rights and protections, women’s rights and protections, consumer rights and protections, voting rights and protections, employee rights and protections, human rights and protections. Constant daily barrage of verifiable lies from the top of the government on down — over 2,000 proven lies in 365 days from one man alone. Infringements of and new laws attempting to prevent me from being able to sue, from being able to gather, from being able to protest, from using the internet the way I want, from using my first amendment rights. Although I do recognize that in its way it is indeed the daily nourishment America is handing out. It’s causing upset, vomiting, poisoning, death. It’s creating huge groundswells of protest and disgust. It’s shifting the tide, and the awareness, of millions of people. The underbelly of the beast is exposed in our bowls. Thank god we can empty those bowls, clean them out, breathe, clear, get out in nature, and regroup as often as we want, and for those of you reading this, at least daily, I hope. I don’t like being the monk, and presenting my lovely bowl to the world. And I will continue to see what’s in the bowl, and to work my way through this. Staying present, aware, thoughtful, kind, and responsible for my own actions and reactions. I am not just a human do-ing, I am a human be-ing. And I get to choose my be-iingness. p.s. One of the BEST tools I know for coping, for clearing, and for centering yourself in the midst of the unpleasant is Reiki. Did you know that you can give yourself a Reiki treatment? Come join us for Reiki Level 1 training in Long Lake this Saturday, and learn how, plus more. Saturday 2/24, 10 – 4. Cost: $150, $65 to repeat. Advanced Registration required, no prerequisite.